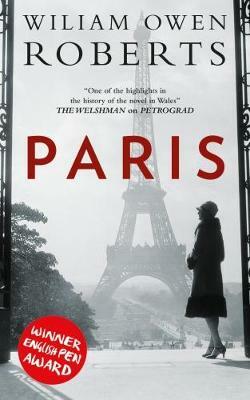 Paris (2013) is William Roberts' most ambitious work to date and can best be described as a contemporary historical novel. It concerns an extended family of Russian emigres struggling to survive in Paris and Berlin during the inter-war years of the last century and examines the difficulty of holding on to one's identity in exile. As the waves of political and ideological turmoil impinge directly on the fate of the characters, we see some of them adapt and flourish despite the hostile environment whilst others are destroyed. Referencing European and Russian prose, both Realist and Modernist, the style nevertheless is that of a quintessentially Welsh sensibility; with a rich mosaic of linguistic influences such as the Mabinogion, 16C, and 17C Classical Welsh language writers, as well as 21C Welsh dialect and slang. The result is a highly innovative hybrid style, which gives the novel its unique voice. Paris, whilst ostensibly a historical novel, examines themes of crucial contemporary relevance: migration, exile, displacement, and identity. Crossing borders, whether from choice or necessity, is a central feature of the novel. Roberts explores the experience of 'the Other', which in this case, is what it means to be a Welsh speaker. He extrapolates the Welsh condition of internal exile: loss of language, loss of culture, loss of identity to a European, historical setting in order to force his Welsh readers to confront their own predicament from a different historical perspective.